Whether pulled over for a traffic ticket, or encounter a DUI stop at a DUI Checkpoint, you MUST know your legal rights, and exercise them. By limiting any self-incriminatory evidence at the roadside, you drastically improve your changes to avoid being convicted of DUI. 1. Shut up! Only your name and address are required. If your driver’s license is correct, say nothing at all. Never consent to any search of your vehicle, your clothing, or your belongings. This includes NOT agreeing to wait on a drug dog, after your traffic ticket or warning has been issued. 3. All types of roadside tests are optional and voluntary. This includes taking a handheld breathalyzer. The portable breath test (in GA, the Alco-sensor is the most commonly used preliminary breath alcohol test) and all field sobriety tests (e.g., the DUI eye test or “HGN test”, walk and turn, and one leg stand) are optional and voluntary, and ALL can be refused without any driver’s license penalty or criminal sanctions. 4. If you are arrested for DUI, and you then are read the Georgia implied consent law, it is best for most drivers (especially DUI first offenders) to take the implied consent test, while notifying the officer of your desire to have your own independent blood test done later, which you must pay for and tell the officer where to take you. 5. An arrested DUI driver, after taking the implied consent test of the officer’s choosing, can request their own independent test at the driver’s choice of locations, even if located in an adjacent county. The detained motorist must pay for this test yourself. 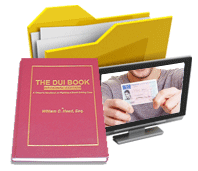 This information was provided by DUI defense lawyer William Head, DUI lawyer in Atlanta GA. Contact Mr. Head for a FREE professional DUI case review. He authored the first drunk driving book ever written on How to Beat a DUI, entitled 101 Ways to Avoid a Drunk Driving Conviction, in 1991. He is co-author of the definitive book on Georgia DUI laws, published by the world’s largest legal book publisher, Thomson-Reuters (formerly West Publishing Company). If you were arrested for DUI and are facing a DUI in Georgia, call us NOW, because we respond 24 hours a day. 404-567-5515.